A SKILLED workforce, a high-quality public service and a leading e-government framework helped Singapore retain its top position as Asia's most innovative country for the second year. Two other key factors worked in the Republic's favour: the ease of starting a business, and the high quality of trade and transport infrastructure. This was according to the Global Innovation Index 2012, which was released yesterday. Singapore was also ranked third in the world after Switzerland and Sweden, according to the report, compiled annually since 2007 by Insead business school. This year's report was a joint effort between Insead and the World Intellectual Property Organisation (Wipo). 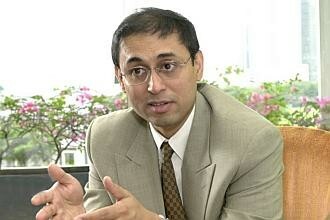 The report's editor from Insead, Dr Soumitra Dutta, said innovation was crucial for economic growth. Speaking yesterday via video conference from Wipo's Geneva corporate office, he said that in the current economic crisis, governments should realise that research and development budget cuts would hurt economic growth. Mr Andrew Khaw of the Infocomm Development Authority (IDA), who was at the media event held at Insead's campus in Ayer Rajah yesterday, said he was encouraged by the report. 'The report will help Singapore attract foreign investments. It also reaffirms that our initiatives in e-government, training and ICT (infocomm technology) infrastructure were on the right track,' said the IDA senior director for industry development. One e-government initiative he highlighted was the sharing of 7,000 government data sets for public use. More than 60 apps covering things like a home energy audit and real-time traffic news have been developed using this data. The Government also supports businesses with grants to help them innovate and better productivity. One is Aardwolf Pestkare, a local pest management firm which won a grant to develop special mobile software that lets its 45 field technicians, among other things, file reports from the field with tablets. Managing director John Ho said that since the project was implemented on June1, efficiency and productivity had gone up as technicians could e-mail their reports instead of filing them when they returned to the office at the end of the work day. The report aimed to provide a macro view of innovation which would be useful to governments, policymakers and organisations. In ranking 141 countries, the report considered factors such as talent, research, market and business sophistication, and education. It did not look at specific economic sectors.